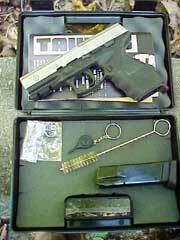 Taurus has for many years now been building some very good semi-automatic pistols, for concealed carry and duty use. 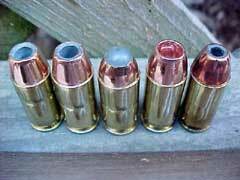 Their latest is called the 24/7, and is chambered in 9mm, .40 S&W, and .45 ACP chamberings. The sample sent to me for testing is chambered for the .40 S&W, which has become the favored cartridge for law enforcement in the United States in recent years. The new 24/7 has a long list of features that Taurus has incorporated into its design. One of its most notable features is the very comfortable and controllable grip. The shape of the grip fits my large hand perfectly, and also works well for smaller and larger sized hands, as I have passed the gun around a bit to other shooters to get their feedback on this. 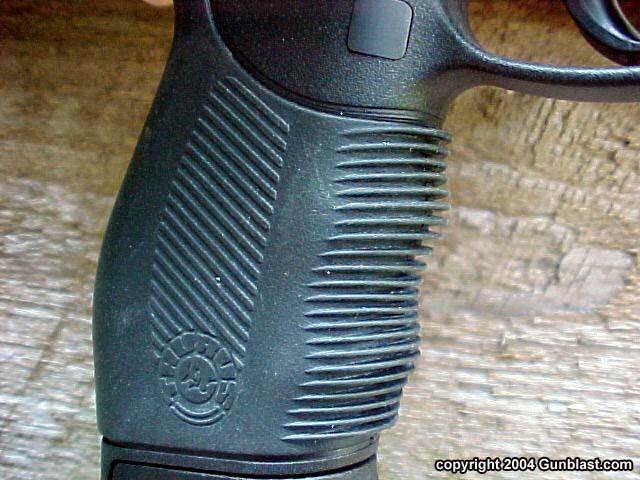 The grip has a soft textured surface that Taurus calls the "Ribber" grip. It works and works well for holding onto the weapon, regardless of weather or humidity conditions. 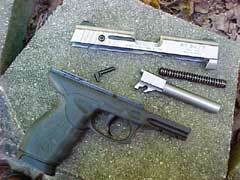 The 24/7 has a barrel that measured 4.065 inches, and locked up tightly into the slide, which uses no barrel bushing. The barrel locks up into the ejection port at the chamber, and is of the short recoil tipping barrel system. The controls are on the left side, and are perfectly placed for a right-handed shooter. 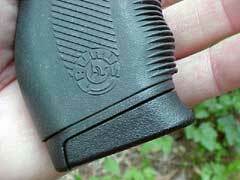 The slide lock and magazine release both work well with the trigger finger of a left-handed shooter. 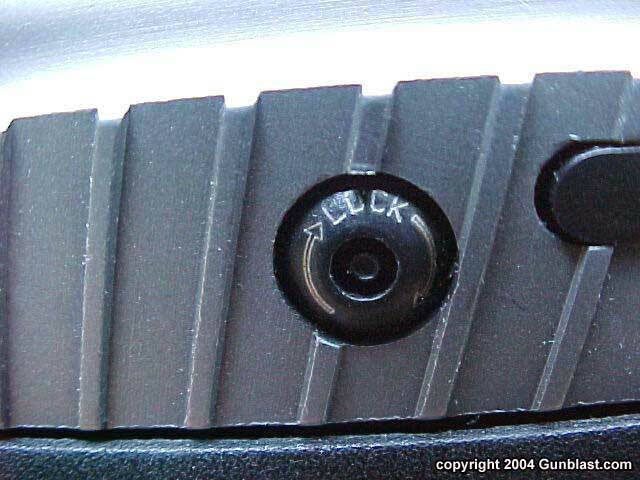 The weapon is striker fired, and the slide does not need to be reset for a second pull on the trigger, as does the Glock. I was surprised when the trigger pull measured seven and three-quarters pounds, as it feels much lighter than that, due to the trigger blade width and excellent ergonomics of the sidearm. The trigger blade is smooth, rounded, and about three-eighths of an inch wide, and makes the trigger pull feel more like four pounds. The Taurus is loaded with safety features. 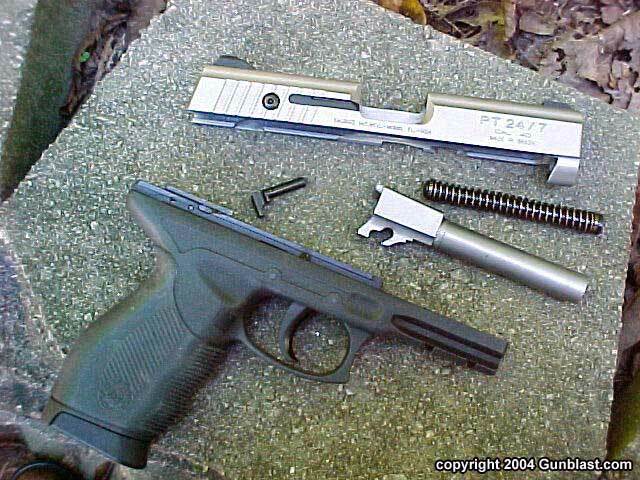 The thumb safety blocks the trigger and firing pin. 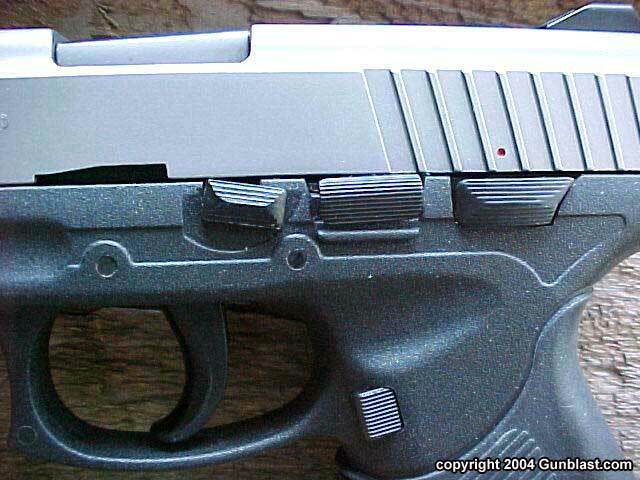 The Taurus Security System key lock on the slide locks the trigger and slide from movement. There is also a loaded chamber indicator just above the extractor. 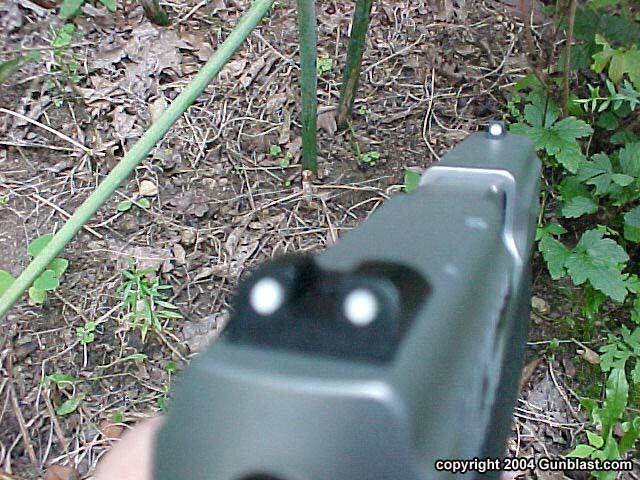 The sights are of the low profile three dot type, and are user changeable if needed. The 24/7 has no magazine safety, thankfully. The 24/7 is available with a blued or stainless slide, my sample being the latter. The polymer frame has a hooked trigger guard and a built-in Picatinny accessory rail under the barrel. 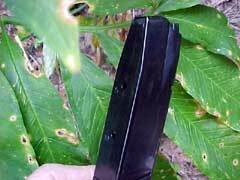 My sample had a magazine capacity of ten rounds, plus one in the chamber for a total capacity of eleven. All 24/7 .40 caliber pistols are now being shipped with standard capacity magazines which hold fifteen cartridges, giving a total capacity of sixteen of the potent little forty caliber rounds. 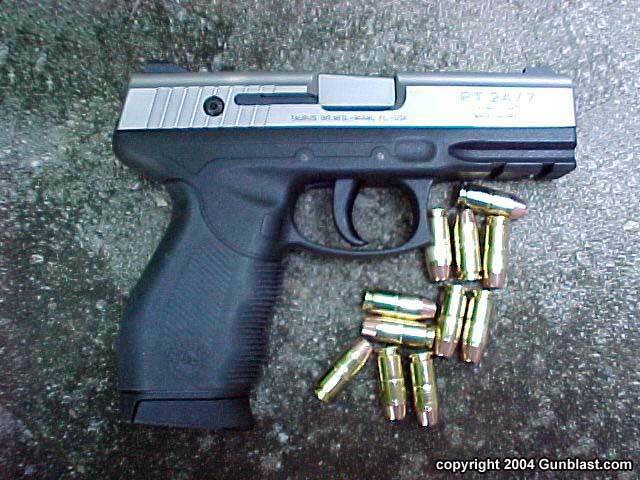 The 24/7 is not a small pocket gun, but is not overly large either. It is just slightly larger than my Glock 19, measuring just over seven inches long, five and one-half inches high, and 1.24 inches thick. It is just about right for a concealed carry gun in a belt holster, and weighs 27.8 ounces, unloaded. 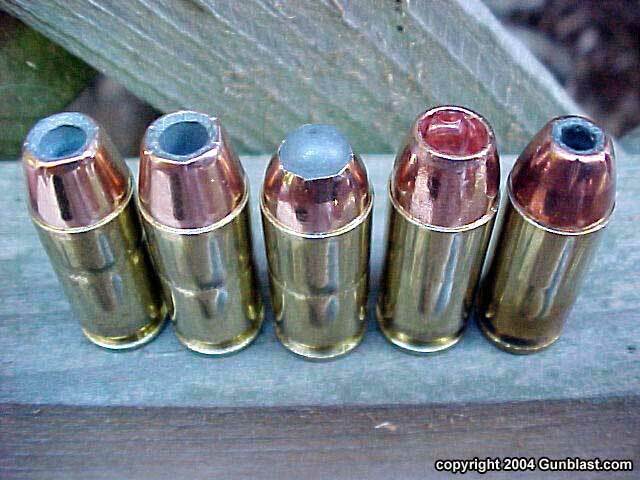 Any of these loads should make for good self defense ammo. I particularly like the PowRBall and DPX ammo. There were no failures or jams of any kind experienced, and while the 24/7 is not a target pistol, it kept all loads tested within three and one-half inches at twenty-five yards, which is good combat accuracy at that range. The PowRBall was the most accurate tested in this particular weapon, with the Black Hills load a close second. 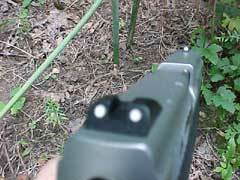 The better loads grouped right at two and three-quarters inches at twenty-five yards. 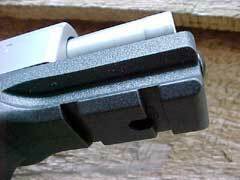 The 24/7 seems to be an excellent choice for a personal defense or law enforcement duty pistol. It carries easily, has excellent ergonomics, is very reliable, and plenty accurate for social work. It comes with one magazine, a cleaning brush, owner's manual, and two keys for the security system, all in a hard plastic case. 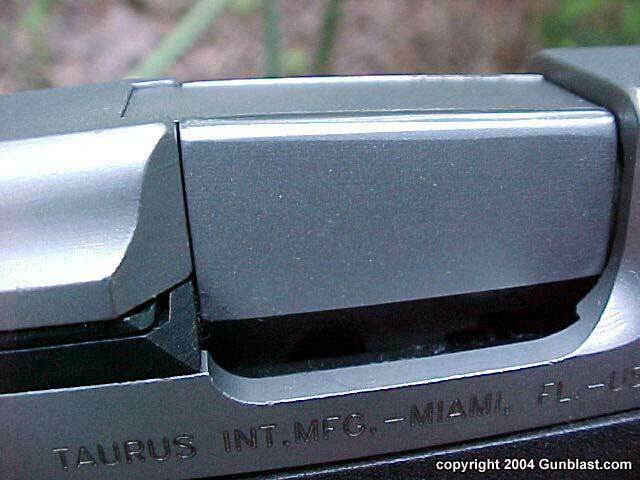 Check them out online at: www.taurususa.com. 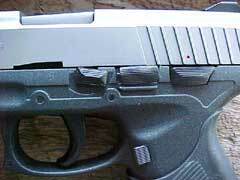 By the way, Taurus has instituted a program to help increase NRA membership. With the purchase of any Taurus firearm, Taurus will provide a free one-year NRA membership. Gunblast.com commends Taurus on this policy. 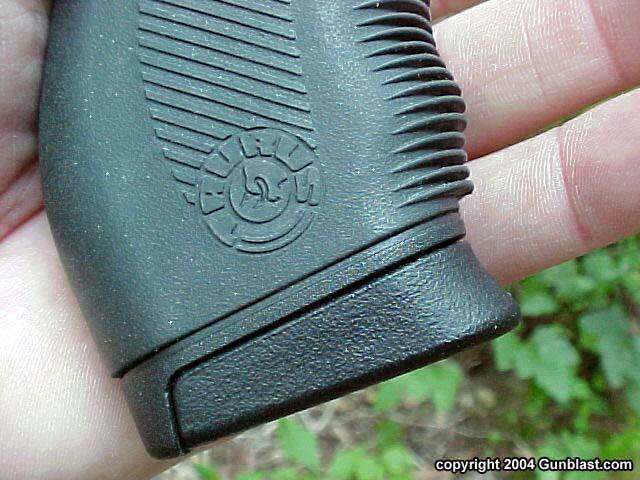 Safety features include the Taurus Security System key lock (top), and a visual / tactile loaded chamber indicator (bottom). Polymer frame includes an integral Picatinny accessory rail. 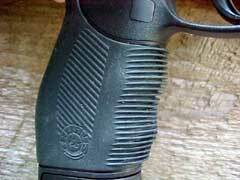 Taurus' "Ribber" grip provides comfortable and positive ergonomic purchase for a wide variety of hand sizes. 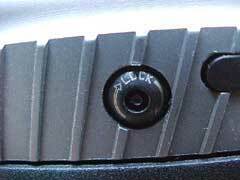 "Three-dot" sights are quick and easy to pick-up in various lighting conditions. Chamber end of the barrel locks tightly into the ejection port (top), while the bushingless slide locks tightly around the muzzle end of the barrel (bottom). Controls are conveniently located for the right-handed shooter. 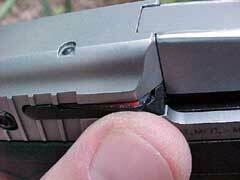 The Taurus 24/7 easily and quickly strips to its basic components. 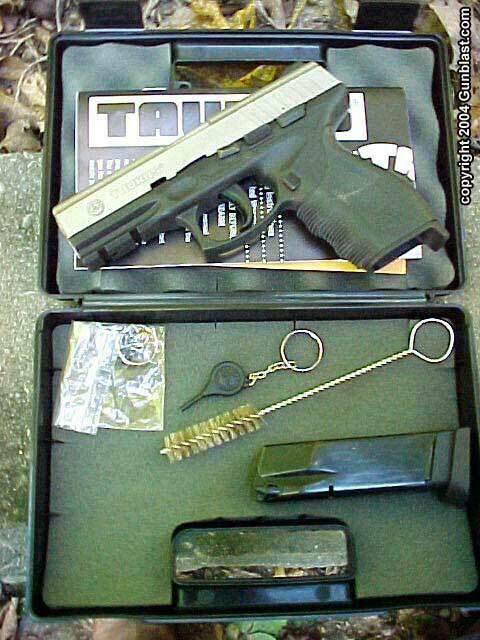 Purchase price includes gun, one magazine, two keys for the Taurus Security System, cleaning brush and plastic box. Test gun included one 10-round magazine, but thanks to the sunset of the so-called "assault weapons" ban, all 24/7 .40 caliber pistols are now shipping with 15-round magazines. 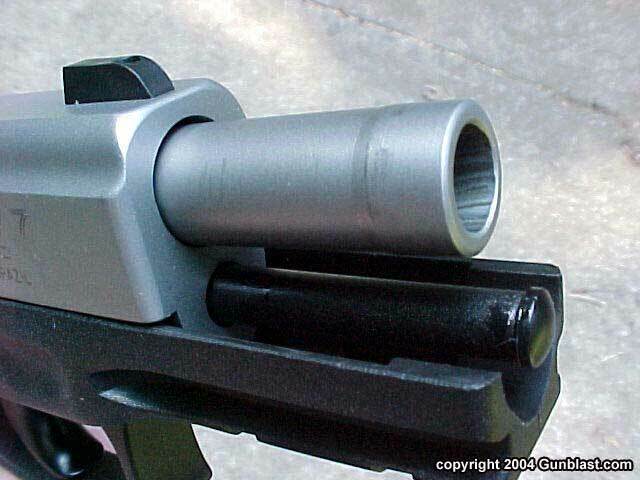 The Taurus 24/7 exhibited acceptable accuracy for the gun's intended purpose with a variety of factory ammunition. 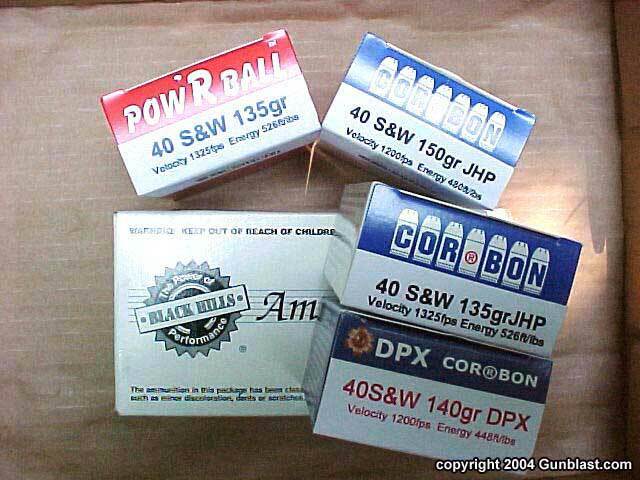 Bottom picture shows (left to right): Cor-Bon 135, Cor-Bon 150, Cor-Bon 135 PowRBall, Cor-Bon 140 DPX, and Black Hills 180.